Prayer: Put your name on me Lord. This comes at the conclusion of the giving of the Law, just before the consecration of the Tabernacle. Numbers takes a narrative turn beginning in chapter 7, making this blessing the “amen” to the Law – an indication of what God’s desire was in this covenant: to bless, to shine his face and countenance (that’s an old word, but I kind of like it) on them, to give them peace, to put his name (YHWH, Yahweh, the covenant name, “I am”) on them. Put your name on me Lord. Bless me, make your face shine upon me, lift your countenance upon me, give me peace. Pronounce to all that I am your possession, I belong to the God named “I am,” the God who exists. Put your name on me. I was changing Isaac’s diaper the other day. He did that thing where he throws his arms out, scared and freaking out because he feels, I don’t know, exposed, cold, something. So I gathered his arms and gently rested my hand on his torso and arms (the trunk of his body is still no bigger than my hand) and said, “Don’t be afraid. I’m right here. Daddy’s here. I love you. Daddy loves you Isaac. I won’t let anything happen to you. Don’t worry. You don’t have to be afraid of anything. I found it hard to explain why my infant son was flailing about because there was no reason for it. 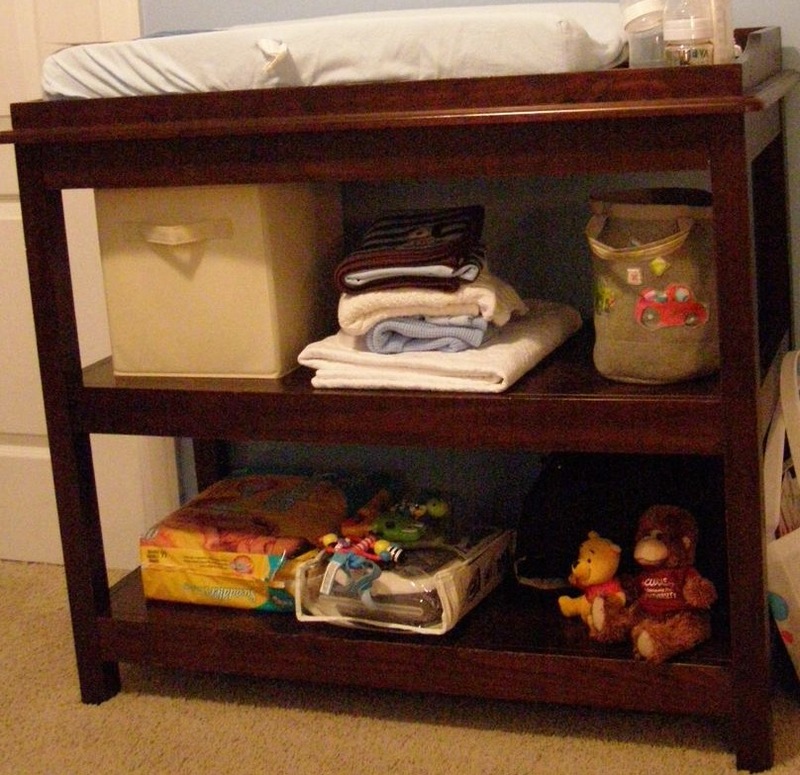 He was laying perfectly safe and comfortable on a sturdy changing table with a soft cushion top. I was standing inches from him, handling him gently, completely taking care of him. He could not have been more secure. He didn’t feel that way. But he was. How many times do I flail about with no more reason than Isaac had? My Father stands less than inches from me. I am perfectly safe and secure in His hands. My Father takes complete care of me, handles me gently and provides me with comfort and peace. But even as I flail, my Father takes up my little arms, folds them onto my chest, and rests a gentle hand on my whole body, speaking words of love and reassurance to me. Father, thank You for continuing to speak Your words of love and peace and reassurance to us. Help us to hear You. Help us to feel Your loving touch on our fearful, flailing flesh. Thank you for loving your children.